Toronto Catholic District School Board – all schools closed and bus transportation cancelled. 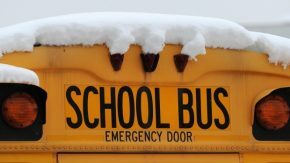 Hamilton-Wentworth District School Board – all schools, administrative buildings and school child care centres are closed. Buses are also cancelled. Toronto Post Secondary Institutions: CLOSED for the day, with the exception of U of T’s downtown campus, which is OPEN.